You have been deployed on the research facility, BioCorp. A deadly virus has broken out and appears to take control of dead bodies. They hunger for flesh and are not easily stopped. You will need to be ruthless and exterminate hoards of walking dead in order to stop the outbreak of the virus. 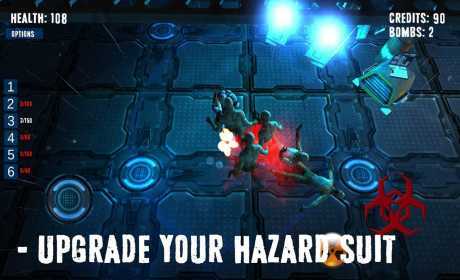 With your hazard suit protection and having an arsenal of weapons at your disposal, these zombies don’t stand a chance. Or do they? – Survival Mode with high scores leaderboard. – 18 levels of zombie filled gore. 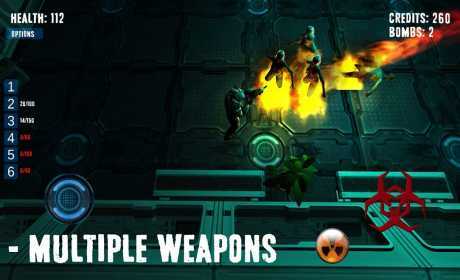 – 6 different weapons to collect and test. – Loads of different zombies with varying difficulty to test you. 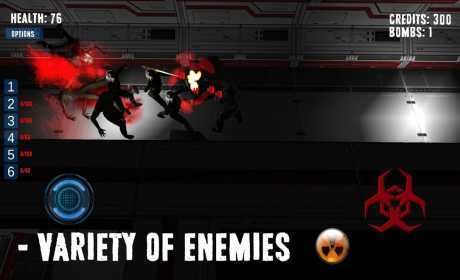 – Overcome obstacles within the levels to advance. – Upgrade you character with skills like, fire rate, agility, speed etc. – Discover hidden parts of the story via information scattered throughout the levels. – Play enough to unlock achievements. This game is Google Play enabled. Thank you for trying our indie game AreaZ. If you have any issues with this game. Please feel free to contact us. If the game seems to crash randomly, please restart your device. This normally fixes the issue. We will look into fixing the issue as soon as possible.